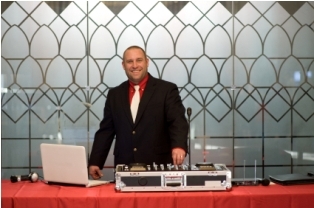 Make sure you plan your event with a Las Vegas Disc Jockey that guarantees a good time. There is a complete listing link for you below of mostly all of our valley professionals including musicians. If you are interested in a complete list of professionals for your event, visit a great resource here in the valley, I am giving you the direct link to our local online resource. You can see the online Directory listing of each person or company and you can even visit their websites here. As a local resident, I can make a recommendation for a particular company that guarantees to "pack the dance floor or your money back". Contact me for their info. That is a very comforting guarantee, especially when the DJ can literally make or break the overall success of your event. The person you hire should be experienced in many types of organized event needs and be able to give you advice and guidance on planning. Don't forget to search Yelp for Event planners in all areas as well. You will find that new things come up for each type of search based on their specialty. Anything that can use music, dancing or professional Emcee. Some good advice would be to contact a company like Las Vegas Party Rentals or another company in town like this. They are sure to have connections and referrals. Emcee - someone experienced in talking on the microphone and getting people involved in your event. Lighting, Strobe - This is a special skill if it is important to your requirements. Fog - Not always needed, but surely at a Halloween event. Projectors and screens - cool for business and promotional needs. Video or DVD montage service - A Must have for weddings! This was the one thing out of all of the things I paid for that I absolutely am thankful for. I told my daughter you must do this, it is a memory of LIVE people that you will never remember like this DVD frozen in time. This Disc Jockey in Las Vegas has the personality to go with the service. Personality is so important when you are planning your memorable event. Make it your best and the best for your guests by hiring these professionals for a worry free good time. We all know the music makes the party and you can ruin a great time with poor talent! How about something a little different like using actual live musicians? Here is a great complete listing link for wedding musicians as well. Maybe you would like to hear a real piano or harp? I hope you find all of this information helpful on your special planning. If you need assistance on Las Vegas Wedding planning, I have several resources for you. Start by visiting our LV Weddings page and find vendors, venues and insider tips to make your planning easier. Las Vegas Outdoor Wedding or Party locations the list is amazing, from country clubs and golf courses to red rock mountain views, take advantage of our gorgeous weather. Local Hair Stylist amazing prices, quality beauty and cruelty free products. On location or in studio styling available for weddings, parties or just a date night out. Weddings in Las Vegas Marriage License Information, Wedding Planning Checklist, Chapels, Make Your Own Ring, Legal issues, the courthouse and more. Las Vegas Events Event posts by us and the public. Farmers Markets, things to do for kids, athletic events. Return to Weddings in Las Vegas from "Las Vegas Disc Jockey".